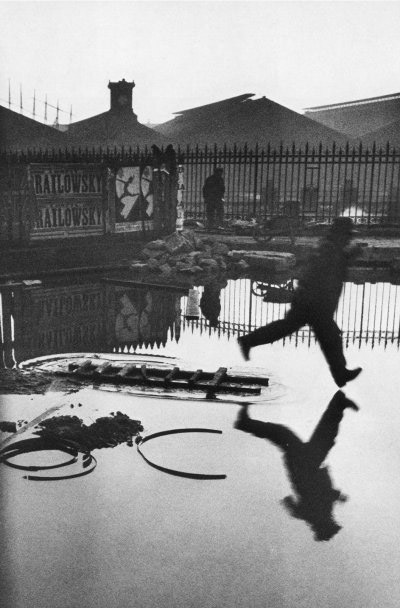 ….Cartier-Bresson joined Jean Renoir to work on a propaganda film that Louis Aragon had commissioned for the communist party. The film, La vie est à nous (‘Life is Ours’), attacked the 200 leading families who controlled France, of which Cartier-Bresson’s was undoubtedly one. A subsequent Renoir film, La Regle du Jeu (‘The Rules of the Game’), in which Cartier-Bresson played an English butler, was shot at his father’s enormous chateau, Mont Evray.